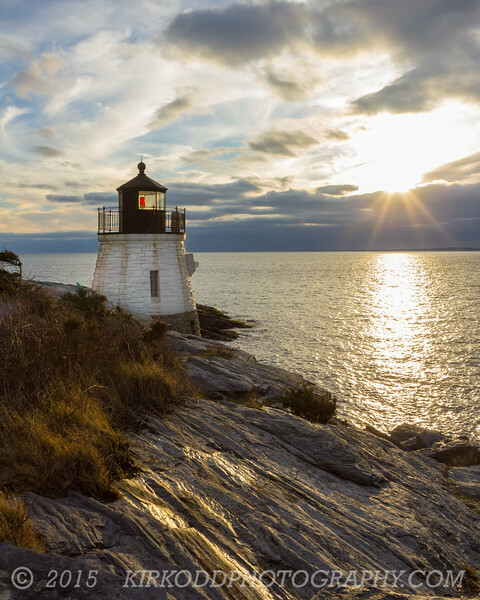 Castle Hill Light in Newport, RI is a great place to watch the sun set. This historic lighthouse, located on Narragansett Bay, is an active aid to navigation for ships entering the East Passage. This lighthouse was completed in 1890.